Hey Ladies and Germs!! 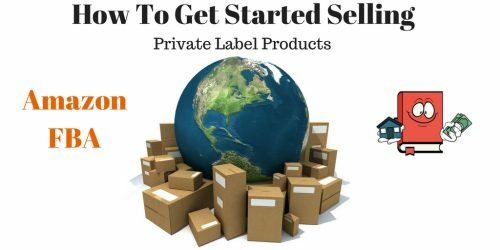 🙂 For the past 2 and half months, I have been selling a private label product on Amazon Prime using FBA. I started this business from scratch and all on my own after reading a few success stories about making money selling on Amazon. In a nutshell, I worked with a Chinese manufacturer to mass produce a product that I chose, slapped a logo on it and then had it shipped to the United States so I could send it to the Amazon warehouses. It literally took me 9 whole months just to get to that point. Check out my full timeline of how long it took me to get started with my Amazon business. 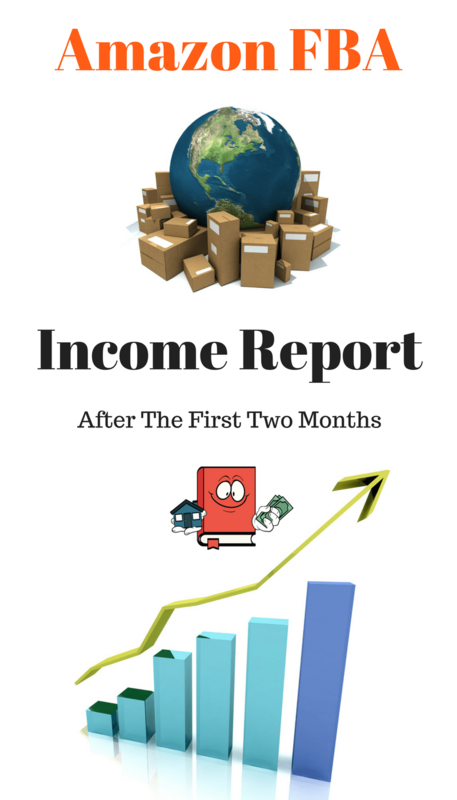 Today I am happy to show you my first official Amazon FBA Income report. 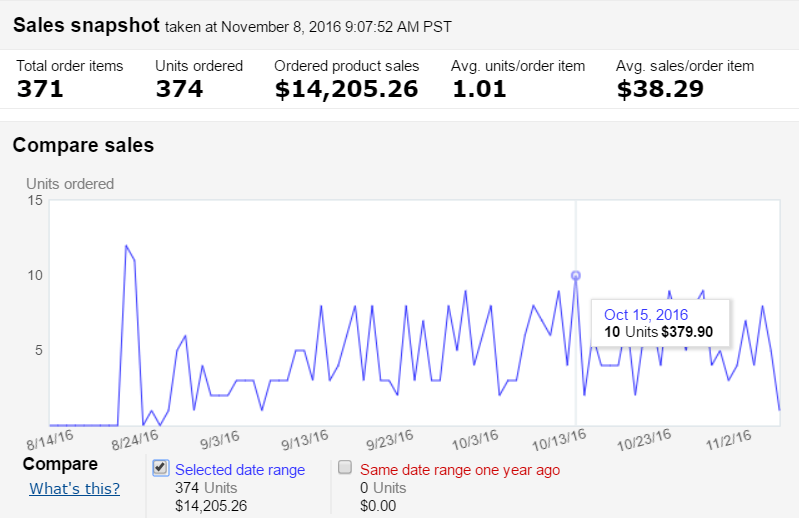 It’s essentially a breakdown of all my sales, expenses and payments to date for the first few months of officially having my product for sale on Amazon. 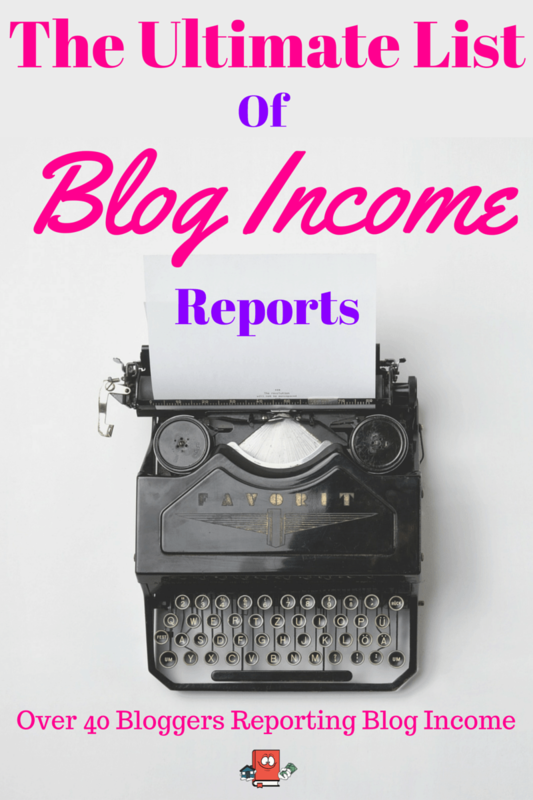 I will write an Amazon Income report every few months or so as long as I have product(s) selling on Amazon. For those of you new to Cash Flow Diaries, you will soon learn that I have a passion for reaching early retirement and I am doing everything I can to get there. Yes another early retirement blog! Bah hambug!! 😉 Just kidding! I know you love reading about this type of stuff because deep down inside, we all want to be financially free, sit in our underwear somewhere near a beach and drink some coffee!! Haha okay maybe not the underwear part but you get what I am saying. This amazon selling business is merely an experiment for me to see if I can make some money to help me save for buying more rental properties. My end game to early retirement is passive income and most of my passive income will come from my real estate investments. 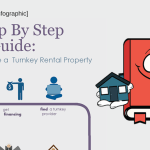 I now have 6 rental properties and want to continue buying until I am financially free. 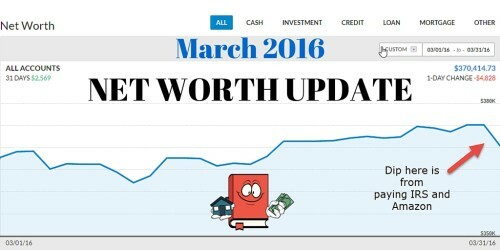 Feel free to check out my net worth posts for a timeline of how I have been growing my empire. 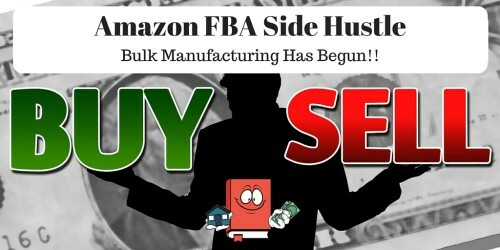 Or feel free to just check out all my Amazon FBA posts since I started if you only care about my amazon biz! 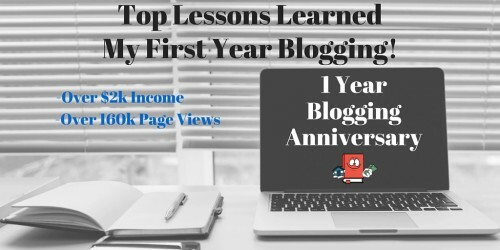 So if you want to keep up with these income reports or just want to see all the methods I will utilize to reach financial freedom, subscribe now so you don’t miss out on any of the action. Just put your email here and subscribe. That’s it! Easy Peasy! Now lets get to the real numbers. Is selling on Amazon FBA worth it? Let’s find out. At this rate, I am averaging about 5 units sold per day. Some days I have sold up to 10 units in one day as you can see above on Oct 15. There are also some days where I only get one or two sales. As far as I can tell, there is no rhyme or reason on how the sales work. At this point I am satisfied with my sales however of course I wish I could sell more. Ideally I want to get rid of my inventory as fast as possible so I can realize all my profits. As you will see below, after all my expenses I have paid for to date, I am still in the RED and have not made any profit. I still have a ton of inventory left though so the profit will come. Just need to keep selling! **Amazon is now charging me $9.77 in fees per product sale. Strange because just a few weeks ago they were charing me a little more than $10. For some reason it went down. My item is currently listed at $38 per unit. Amazon has paid me over $7k already which is great. Why haven’t they paid me the $10k in sales? Because they have deducted all the amazon expenses I have had already which include shipping, PPC costs and monthly amazon seller costs. Below I will break down every expense line by line. Here is a complete breakdown of every single expense I have had from ordering samples 9 months ago all the way to advertising costs from Amazon PPC campaigns. As you can see, there is a very expensive experiment. This little side hustle of mine has cost me over $18k so far while having been returned $7367. That still leaves me with just under $11k I need to make back before I break even. Which leads me to my next point. So I need to make $10,823.86 to make all my money back and I have the potential of making another $17k in profit. If I were to sell all my remaining inventory as is, this would leave me with about a $7k profit. The bad news is that it’s not going to play out like that. I will have probably another few thousand dollars in PPC costs. So at the end of the day, I am probably going to profit about $5k from this maybe less. Based on what I am seeing here with the amount of products I have left and my occurring expenses, I am probably going to see about a $5k profit which would equate to a 25% return on my investment. If I can get rid of all my inventory in less than a year of when I started, then that would leave a very good return. What other investment out there can you make +20% returns? The first 9 months getting all this started before I actually was selling anything was the most time-consuming. I spent hours and hours researching, going back and forth with suppliers and trying to figure out how to get this all working. I lost track of the amount of time I did during this time period. However, the amount of time I have spent on this AFTER my item started selling is very little. Maybe 30 minutes a week. Once you get through all the hard stuff of getting your items listed and selling, it pretty much goes on auto pilot and it is very passive. Is it worth selling on Amazon FBA? There you have it folks! Until next time. Let’s go out there and make some more money! Sounds pretty good. Maybe another 2.5 months until you break even and 4 months until you are out of product. I think the “is it worth it” decision depends on what comes next. The time invested on this first one, plus the month, would make me think it isn’t even close to worth it as a one-off think to do (compare it to freelancing, which you could get a good hourly rate without the capital). But if you do it again, that hourly rate goes way up – it will take less time and you will be better at it. Apparently Amazon is estimating I have stock for another 110 days so that sounds about right. I definitely agree that it would be more worth it if I decide to get another batch as it will be a lot easier. Overall all though even though I put in some time to get this running, I still should see decent returns and although it wasnt passive income setting all this up, its pretty passive now which is a good thing. The main difference with freelancing is that its an on going job. You have to keep writing to make money. With amazon, you just have to set it up then it goes on auto pilot which is why its a lot more appealing. Sounds good to me too! Passive money is great! I’ve heard of people selling products they have found themselves and then sending it off to the warehouse and then selling on Amazon. What I have read is that they do well too. What do you think about that? Oh yeah I have heard a lot about that method of selling as well. Its called retail arbitrage and people find clearance items from stock stores, then send it to amazon and sell it as a profit. Takes more work to get it done but from what I hear, there are plenty of people making good money from it. Indeed! If I were to reorder, it would cost probably the same in intitial cost of goods and shipping but it wouldnt take much time at all. Only a few emails to get it going so it would be a lot cheaper as far as time invested. Has Amazon pulled any of your “disclaimer” reviews yet? It must be brutal having to wait through the holidays but that is great that your product is not holiday dependent. Im going to be pulling hard for you when you start selling. Cant wait to read about it on your blog. Fortunately, amazon has not pulled any of my “disclaimer” reviews. Not sure why or when its going to happen but for now im grateful they are still there. Thanks for the update Alex was wondering how it was going. It looks to me like you found a good niche to earn from hopefully you won’t get to many competitors. As I said in your last update, you’ve made it through the hardest part. Now just focus on getting more reviews and sales, the more sales you make the more Amazon loves you! Yeah for now it seems pretty good. I just keep reading horror stories about amazon sellers getting hijacked and competition coming out of nowhere which leads to getting in to a price war. Ill keep my fingers crossed that doesnt happen for now. Ive been getting a few reviews since my initial launch which has been great although some of those reviews were not good because of items being broken apparently. For now I have a 4 star rating which is good and about 30 total reviews. Im really hoping sales take off after thanksgiving for the holiday rush. 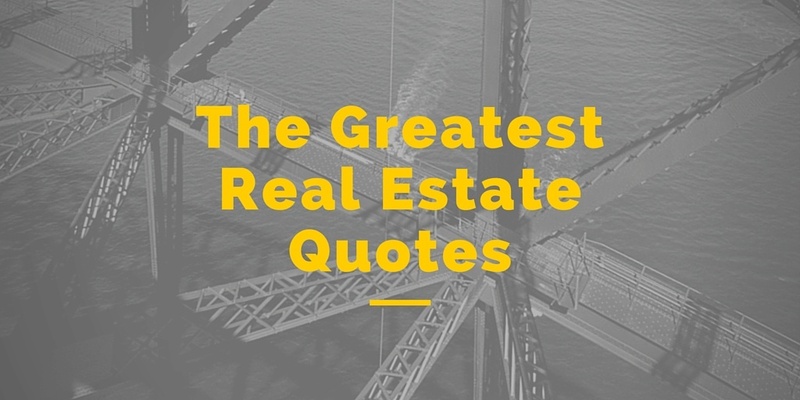 Awesome job thinking outside the box to generate more income to buy rental properties. Plus on top of that to get a 20% return in your first year is amazing. Great work!!! Looking at your remaining inventory numbers. 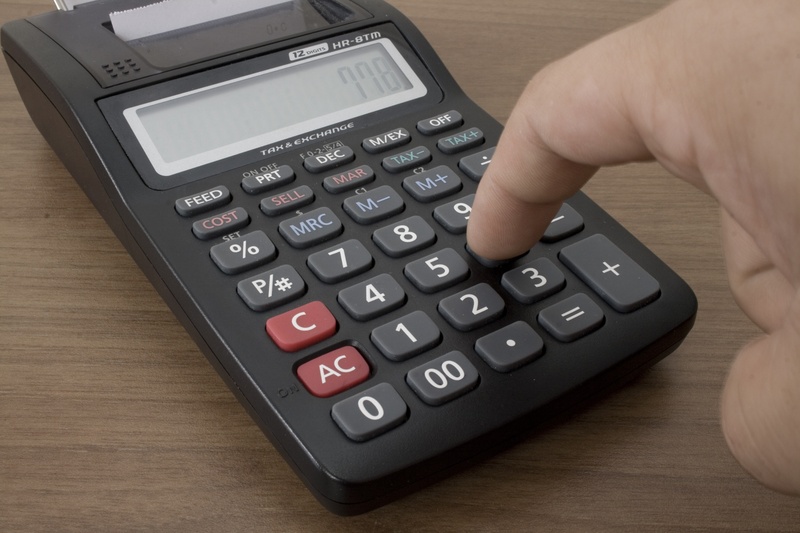 How did you calculate the remaining profit? I see the total sales number as 625*38= 23,750. But the gross profit I calculated as this. Then 625 * 12.89 = 8,056. So 23,750 * .35 = 8,312.5. So 15,694 – 8,312.5 = 7,381.5 net operating income assuming zero other expenses. Let me know if I’m off on my COGS, as thats most likely where I made my miscalculation. All I did was subtract the Amazon fees of 6106.25 from the total remaining sales left to come up with the 17644. (625 * 9.77) As I mentioned in the post, amazon reduced my fees down to $9.77 per unit sold which I am not complaining about. And then I lowered it down to $5k profit just on an estimate of how much I am going to spend on advertising and other costs. Who knows what the actual number will be until its all said and done. Thanks for checking it out! Liking the numbers and the cool thing about this is that you’ve learnt a lot from the situation, which is probably the most important thing.. Thanks Jef! I have indeed learned a lot from it. To be honest, im not quite sure yet if I will even continue this business venture. Ill have to make a decision soon though. Very cool write up, hopefully you can successfully continue with this project and make a bit of money at the end. Hey thanks for the update, and it is a somewhat costly business. But a 20% profit is sure worth it. Amazon is making a killing I bet with all these fees they are making.